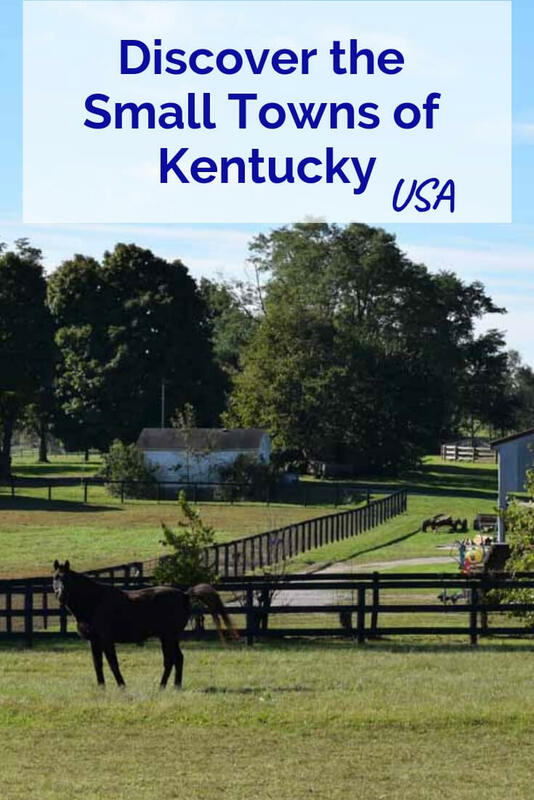 I may have been birthed in New York and bred in Pennsylvania, but, in another life, I know I was born with a Kentuckian soul. Handling a horse by four years old and drinking bourbon by forty might not be the only requirements for feeling that Kentucky spirit race through my veins, but I think it puts me at least halfway there. Heading back to the airport after a week exploring the state, I have truly fallen for the small towns of Kentucky. 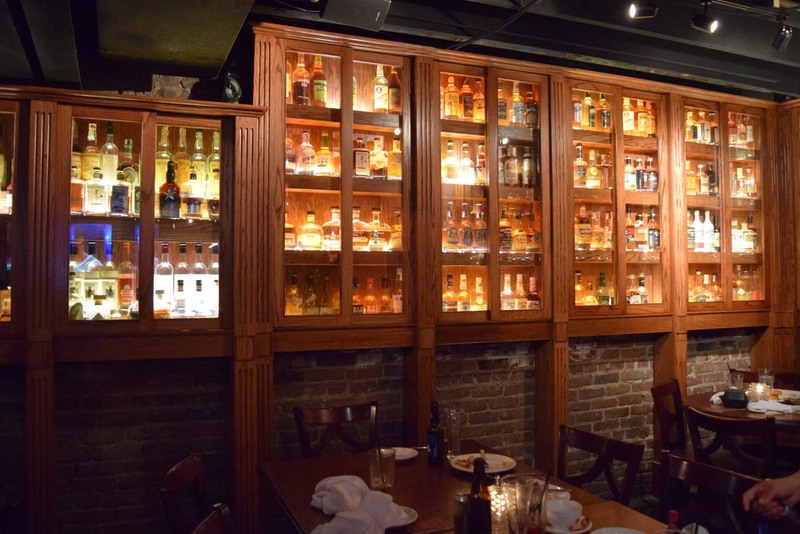 Each one of the following is only a day trip from Louisville or Lexington, but imbued with its own identity, food and folklore, all brought together by one commonality, Bourbon! I wasn’t prepared to learn so much about my birth nation’s history, and meet those who have made the world better from their home base of Kentucky. Covington hugs the Ohio River at one of Kentucky’s most northern spots. An easy hour and half drive from the center of Louisville, I would definitely plan to spend the night or you would miss staying at one of the best hotels in the state. 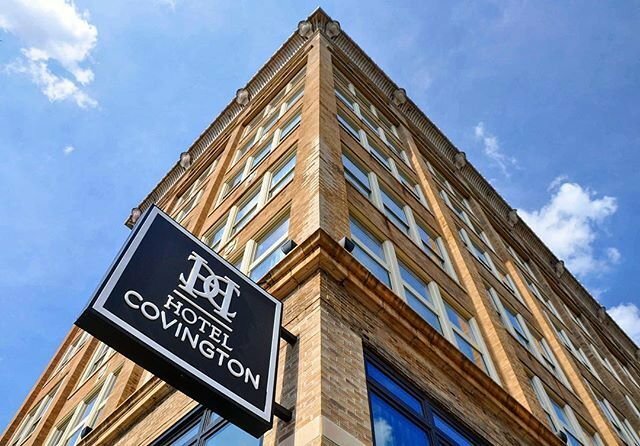 Lying in the shadow of Cincinnati, Hotel Covington would be my choice to stay whether my work brought me to Ohio or Kentucky. John Coppin moved his dry-goods store into this seven-story building in 1906. At the time, it was the state’s tallest building and he transformed it into the most important luxury department store in Kentucky. Today, it’s been transformed into the Hotel Covington. As I checked in, a jazz trio welcomed me into the chic, modern, buzzing entrance, flanked with a long bustling bar. The rooms were spacious and light, with my requisite down pillows, huge towels and strong hair-dryers, with an added bonus of a selection of bourbon in every room! Due to its large influx of German immigrants to the USA, Covington was the home to the Bavarian Brewing Company, the first brewery in the country. Although it closed long ago, the main street in town is still called Mainstrasse and you can grab a bier and bretzel at bars and restaurants on the street, named appropriately Strasse Village Pub and Strasse Huis. If you are sticking to American food, don’t miss farm-to-table Bouquet on Mainstrasse – start with the New York Sour Cocktail, their award winning cocktail, and end with the Bourbon Poached Pear. Speaking of New York – one of the most iconic New York City sights unarguably has to be the Brooklyn Bridge. Before building this most iconic of bridges, German immigrant John Augustus Roebling was down in Kentucky planning its precursor to span the Ohio river, linking Cincinnati to Covington. At the time it was built, Covington was second largest city in Kentucky and the bridge was the longest suspension bridge in the world. 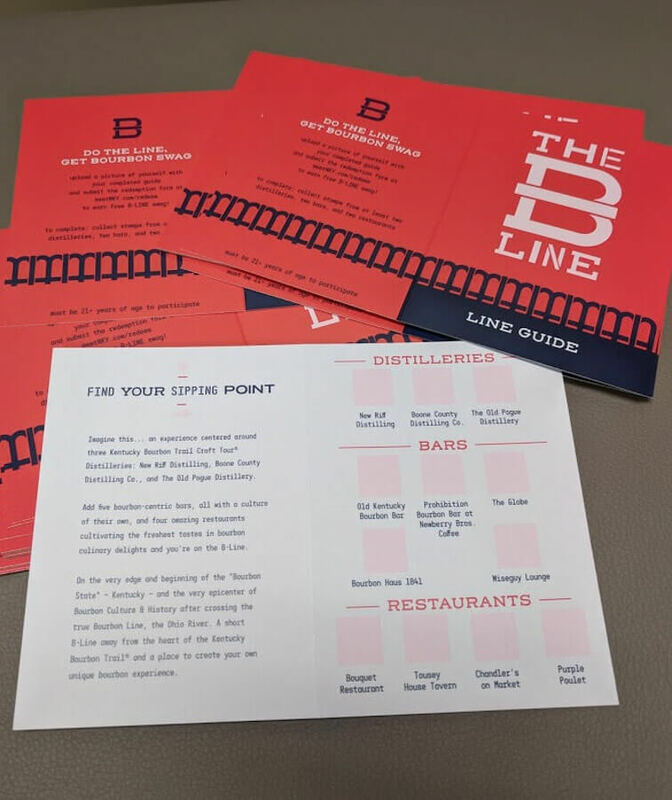 Don’t forget you can start the B-Line at the Old Kentucky Bourbon Bar in Covington. The B-Line is a dedicated route in Northern Kentucky for Bourbon enthusiasts. Grab your passport and set about to hit all the stops along the way. Newport can be described in one phrase – Vegas before there was a Vegas. It’s hard to imagine this small town in Kentucky as the gambling capital of the USA. Our guide on the Newport Gangster Tour assures us it was. At the height of its popularity, there were more than 30 illegal casinos within the confines of a few blocks. Frank Sinatra sang here – need I say more? Prohibition just fueled the fury and, thanks to the Ohio River situated steps away, bootleggers could smuggle in goods with help from the easily-bribed town officials! George Remus, aka King of the Bootleggers, was the topman for short time, but, a veritable Who’s Who of Gangsters joined him here to take advantage of these ill-gotten gains. 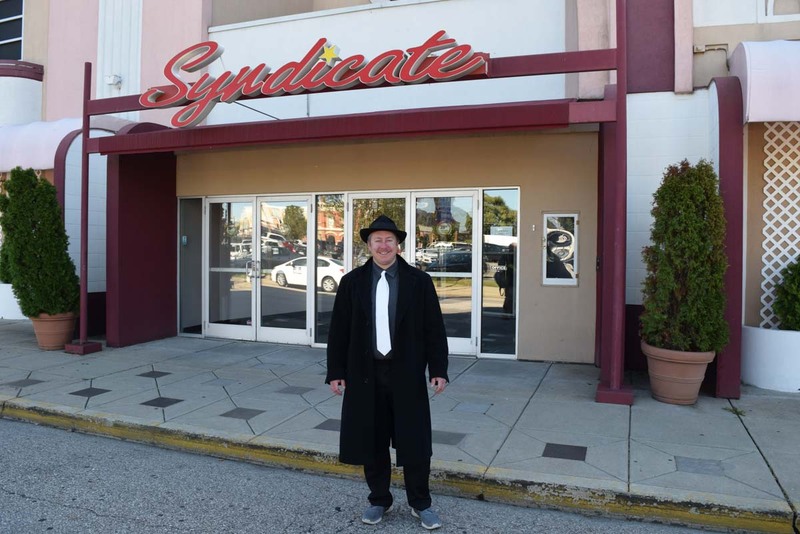 Red Masterson, Dutch Schultz, Meyer Lansky all owned casinos in town, but there was little to no competition between them as everyone was making so much money. The original Flamingo and Tropicana casinos originated right here in town. The fun ended in 1963 when the Feds arrived and shut down all the casinos. Air travel replaced rail and Las Vegas became what it is today. 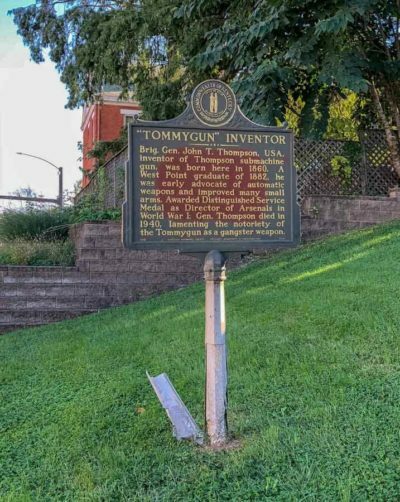 Iconically the inventor of the Tommy Gun, the gangsters’ gun of choice, was born in Newport. Wherever you are driving next, do not miss lunch at Tousey House Tavern in Burlington. 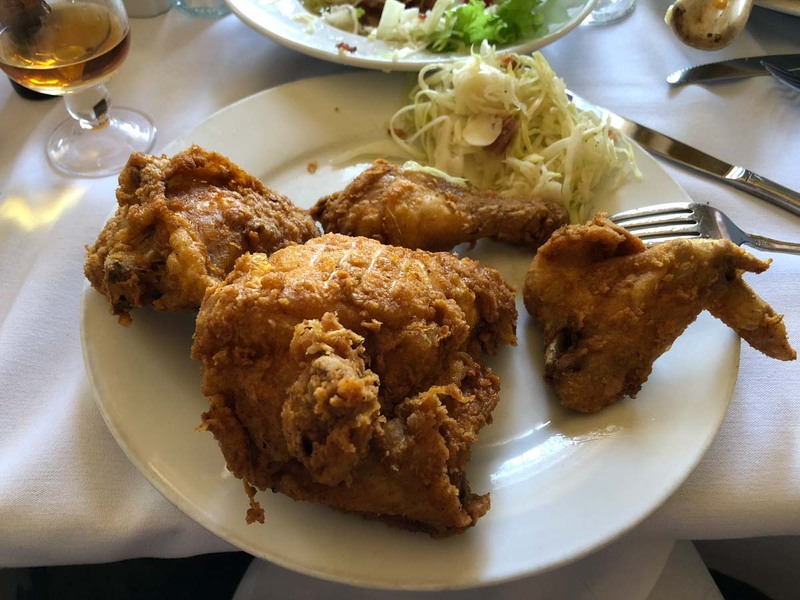 Their fried chicken is considered some of the best in the state and that’s saying a lot in a state that made the dish a household name. Not only is the food spectacular, but the building itself is a prime example of Federalist architecture built in 1822. Burlington, also known as Porkopolis to locals, due to its historic German immigrant population. They brought their wurst and stayed. Don’t be scared to try Goetta from the menu. If you are a Pennsylvanian, you’ll know its closest relative, Scrapple. If not, let’s just say, it’s a melange of pork, oats, and spices, mashed up, steamed and then fried. If more fried food is what you’re after, don’t miss their Fried Green Tomatoes. Round out your meal with Kentucky Beer Cheese and pretzels, hot coleslaw and, of course, mashed potatoes. It all goes down so easily with a flight of Bourbon, so rest well before getting back on the road. 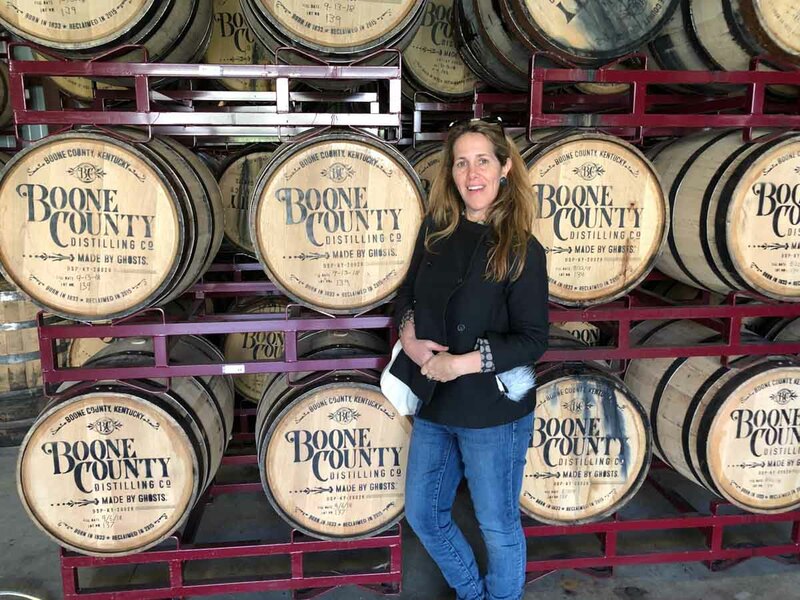 A short 15 minute drive from the Erastus Tousey House leads you to the Boone County Distilling Co. Book a tour and walk off some of your lunch while seeing this young distillery at work. It prides itself on being the ancestor of William Snyder who once had the largest distillery in the nation and the first to open in Boone County, Kentucky since Prohibition. After one sip, I bet you can’t leave without a bottle of their Bourbon Cream – a mix of heavy cream and Bourbon. 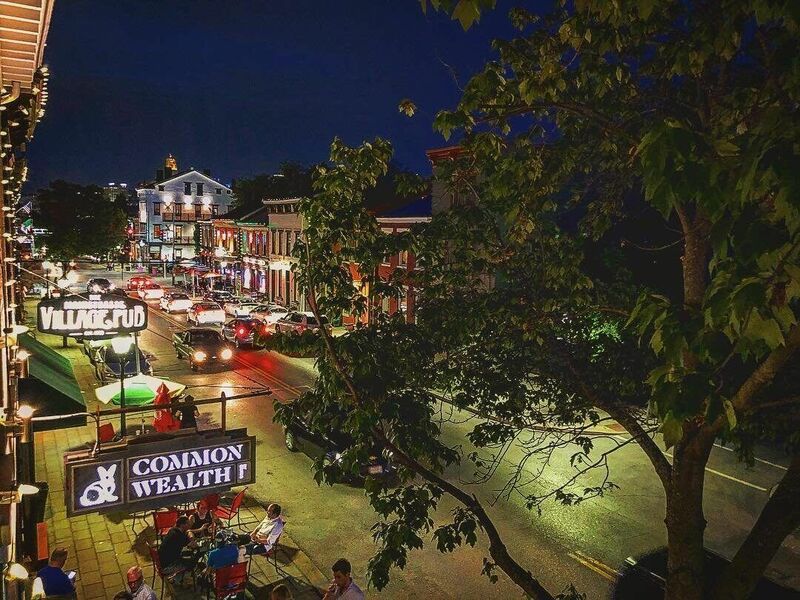 It may be tiny, but Georgetown is a must stop on any trip through Kentucky. The historic centre of Georgetown includes over 200 buildings on the National register of Historic Places. Most of the shops are locally owned with nary a chain store to be seen. Elijah Craig (of Bourbon fame) was the founder of the town, so you know you will drink, and eat, well! Don’t miss Local Feed and pop on over to Bourbon 30 right next door to try a sample right out of the barrel. 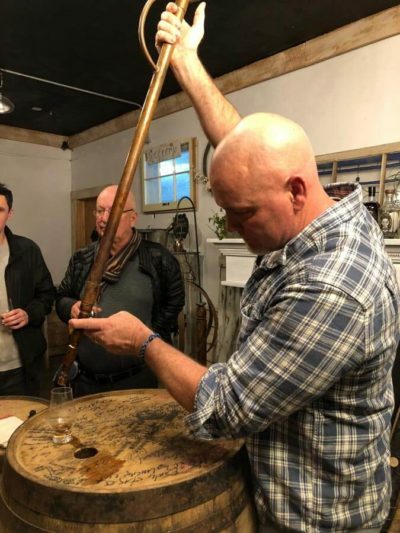 I’ve already regaled some of you with tales of the adventures of Country Boy Brewery’s DH Harrison on my sister site Lush Life podcast, so make sure to stop by and try one of their homemade beers. 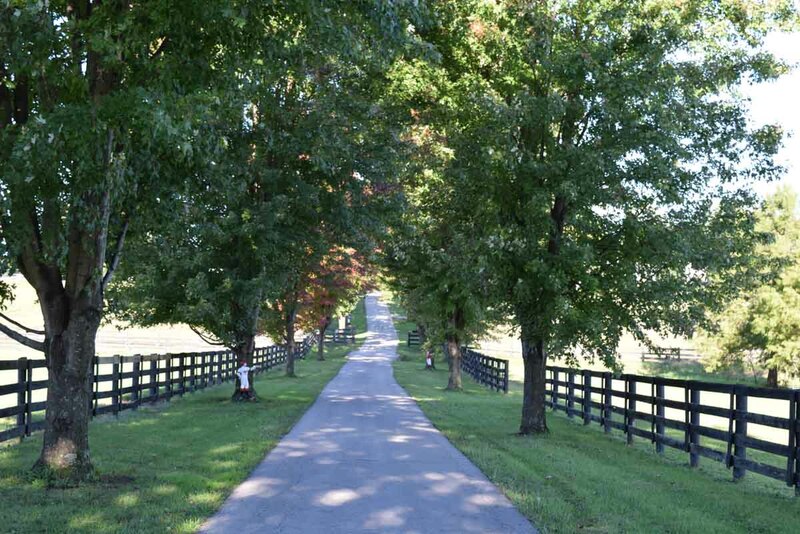 Right outside of Georgetown, you are in the Horse Capital of the World and there are two farms that just can’t be missed.Old Friends Farm for Retired Thoroughbreds is my kind of heaven. Over the past 15 years, Michael Blowen, former Film Critic of the Boston Globe, has been saving former thoroughbreds from being destroyed. As a young editor, he was taken to the racetrack and fell in love with every aspect of the thoroughbred industry, even secretly working with a horse trainer in the early hours of the morning before heading to the office. Upon learning that these magnificent beasts, who were past their prime, were literally being killed off, he felt he had to take action. Beginning with one paddock and one saved horse, Taylor’s Special, he has grown Old Friends Farm to more than 136 acres and has rescued over 175 retired horses. 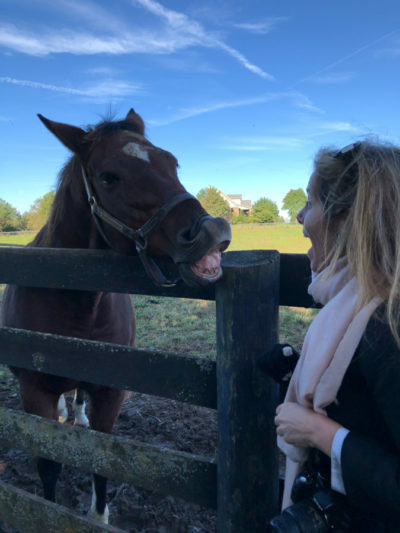 Take a tour of the property and meet the horses who played Seabiscuit in the film, as well as, all the other former thoroughbreds whose sole job is to munch grass and lounge around looking beautiful. Thoroughbreds are tattooed on their inside upper lip when they are born. If you ask nicely some of them will show you their tattoos! Make sure you call ahead as the tours are by appointment only! The other farm not to miss is also owned by another transplant to the area, just a little further away than Boston was. Sheik Mohammed of Dubai has a passion for horse racing. 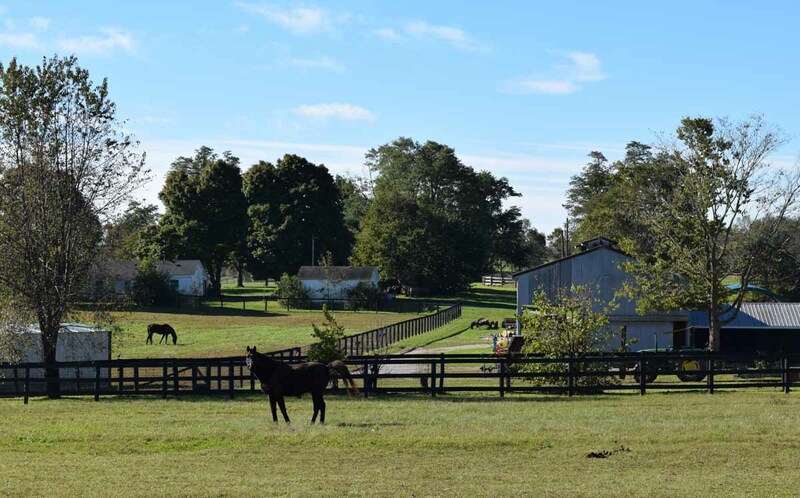 Godolphin at Jonabell Farms proves how seriously this lifelong racing enthusiast, and owner of the most thoroughbreds in the world, takes his sport. Golodphin is the luxury hotel for active thoroughbreds – the stables are the horsey equivalent to the Stafford. The property is also spectacular and the horses are in exquisite shape, demanding the most expensive stud fees in the world. 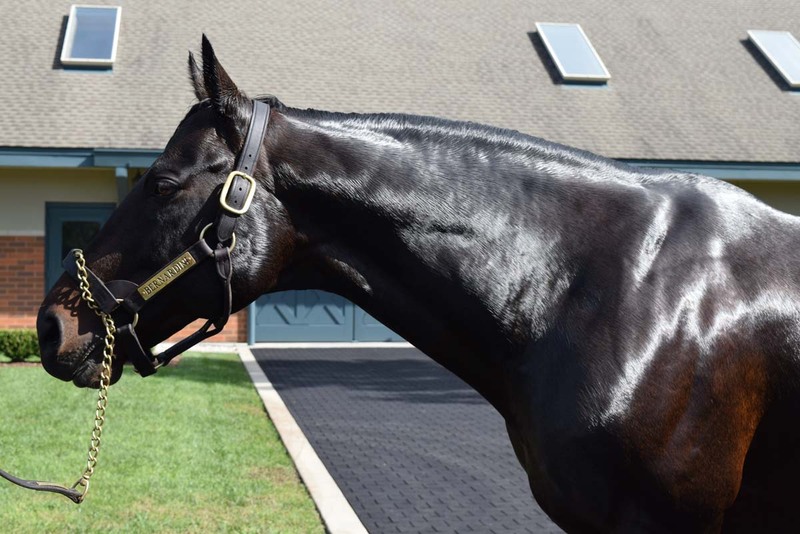 His horse have won hundreds of races, but he has yet to have birthed a Derby winner. I am sure it is in the cards. Sheikh Mohammed’s dedication to the sport and its future is unquestioned. 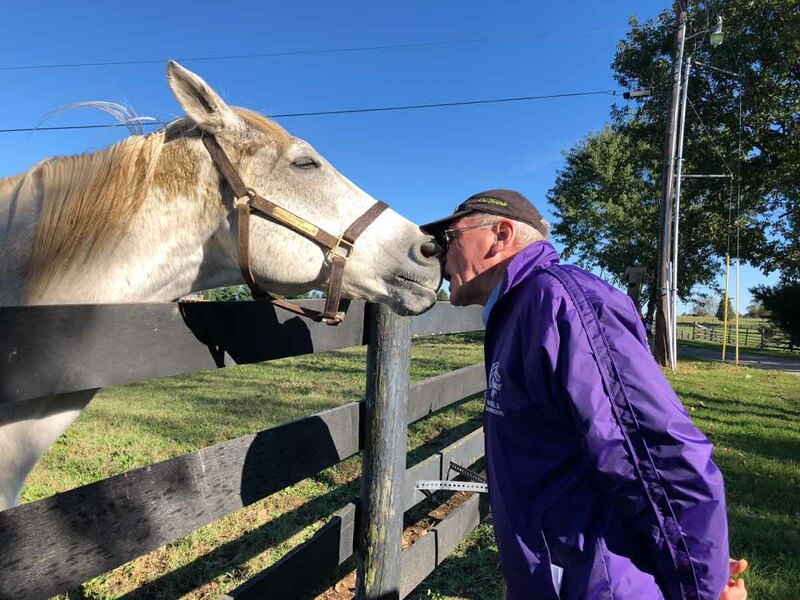 He has even created a program for those who might want to pursue a career in the thoroughbred industry – a fully-funded two years in which students study every aspect of horse racing and breeding around the world. Time for twanging. 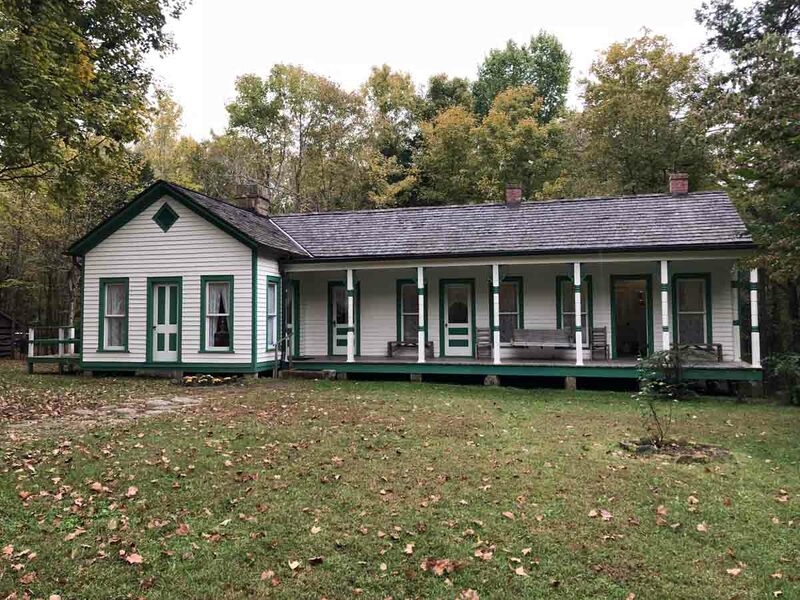 The sound that is so iconic in country music was born in a little green and white clapboard house outside of Owensboro, Kentucky. The fast-flying fiddle, high pitched mandolin, free-flowing 5-string banjo, bass and guitar are the only ingredients allowed if you are making traditional Bluegrass Music, according to its founder Bill Monroe. The genre came to be named for his band, Bill Monroe and the Blue Grass Boys, and took off from his very first concert at the Grand Ole Opry in Nashville. The tiny house up from the main road on Jerusalem Ridge is Bill Monroe’s birthplace. Tour this museum first before going back down the hill to a larger building that houses his memorabilia. Try to time your visit so you can catch a Saturday night concert at the neighboring Rosine Barn Jamboree. Eat barbecue, drink bourbon and dance all night to Bill’s most famous hits, including Blue Moon of Kentucky. The same day you visit Bill Monroe’s birthplace, it would be a shame to miss Owensboro, the home of the Bluegrass Hall of Fame and Museum. 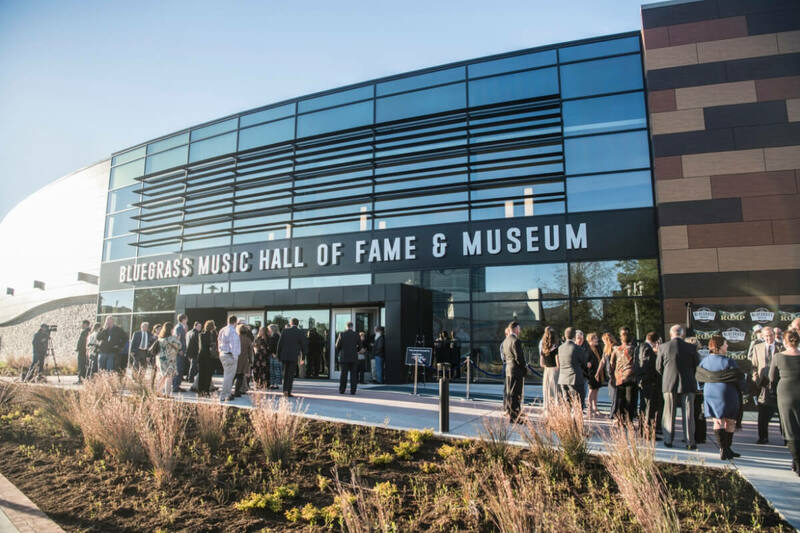 The Museum has just opened its new premises, making it the most comprehensive museum of the genre that started country music as we know it today. Don’t just visit the museum, but take a long walk on the riverfront and gaze cross the Ohio River to Indiana. If you have time, pop into the quirky Owensboro Museum of Science & History on East 2nd Street, then make your way back to the museum stopping into a few of its local shops, including Peachtree Antiques and Byron and Barclay, the hippest clothing store in town. 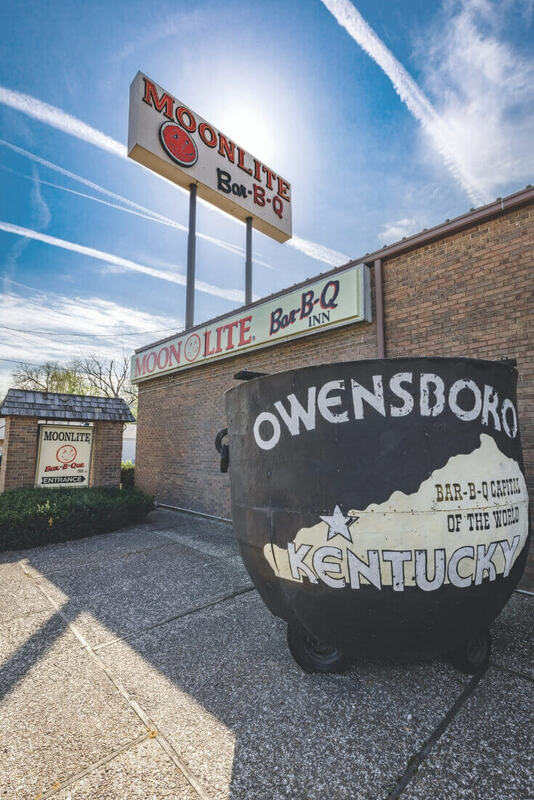 Make sure you are there two nights so you can eat at two of Owensboro’s most famous restaurants – The Miller House and the incomparable Moonlite BBQ. A traditional Sears-Roebuck prefab house, The Miller House is now known for its bourbon bar, purported to be one of the largest in the world. The food is fantastic as well. Moonlite Bar-B-Q Inn is an institution, renowned for its massive buffet, including Barbecued Mutton (don’t knock it until you’ve tried it) and Banana Salad (another one you have to try, it’s surprisingly light!). Come hungry – very! Just a few of the buffet selections are ribs, fried chicken, salad bar, potatoes every style, creamed corn, and, let’s not forget the desserts, including pecan pie, chocolate pecan pie, and banana pudding. No bourbon here so you’ll have to wash it down with Kentucky beer. Can you guess which of our presidents stopped by? William Jefferson Clinton. There is also a shop in case you want to bring back some Burgoo – a Kentuckian classic! 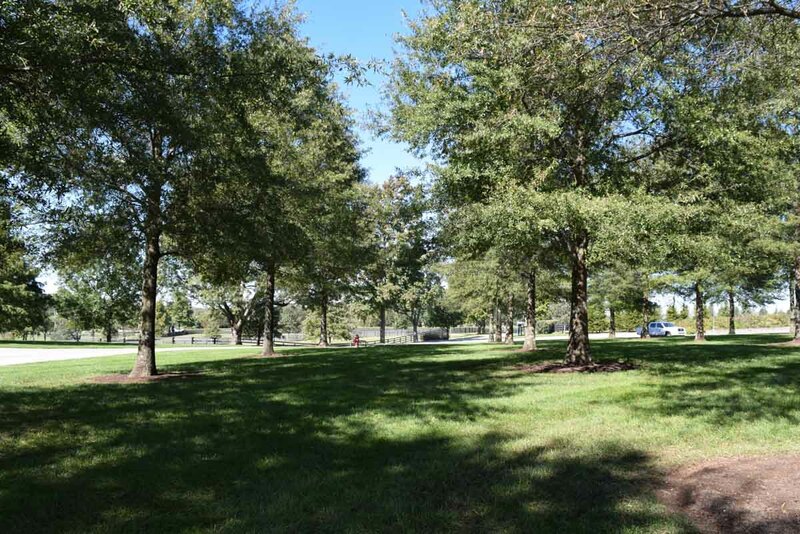 So if you are heading to Louisville or Lexington – check out one of more of these small cities in Kentucky. 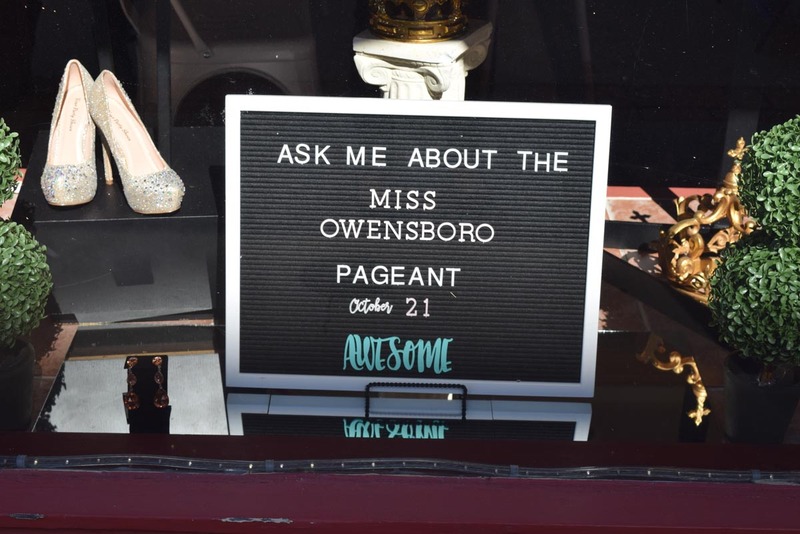 You’ll be as captivated as I was, plus you might win the Miss Owensboro Pageant! Thanks so much to www.kentuckytourism.com for organizing this trip and giving me the opportunity to fall in love with the small cities of Kentucky. All my opinions are my own! Based on 2 people travelling on the 4th March 2019 with United Airlines from Edinburgh £1195 per person or United Airlines from Heathrow £1259 per person including Hertz car hire for the full duration with insurances and taxes pre-paid. To book, call Travelplanners on 020 3542 8888.